My job is along the 84 from Middletown, NY to Danbury, CT to White Plains, NY. I am moving from CA with 2 small dogs and want to find a fun town that is safe, friendly and has single men of the white collar variety. Any recommendations on where to move? Your use of the word "the" before 84 gives away you being from California. Here in the east we usually just say I-84 or 84, No big deal. To answer your question though, the area you are ccovering is kind of suburban to rural in character. To find and real single action, you need to be near a city. I would probably say White Plains then. It is a nice small city with a lot of white collar professionals and a decent nightlife. Note though that White Plains is in affluent Westchester County which is some of the most expensive parts of the country. You might want to try to get more information on the New York Boards for it. Thanks Jay - any particular towns that you recommend or even areas to avoid? What is your budget, and do you plan to rent or own? 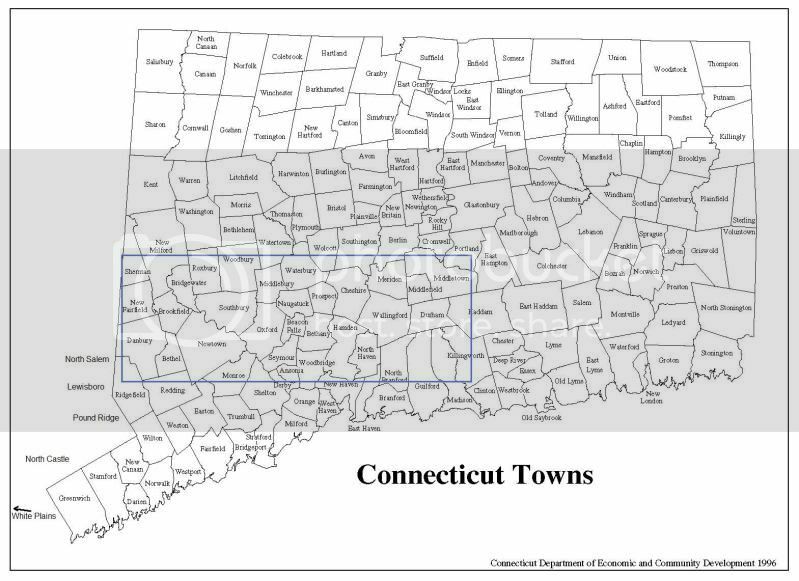 Being a city, Danbury is likely the cheapest in that area of Ct. You would want to be careful of which areas you were looking in though, especially if you are looking for "white collar" men. Also, be aware that if you are renting with dogs it will be more difficult, as a lot of landlords will not allow dogs. I am looking to rent a 1 bedroom apt for $1600 or less. I def. need to be careful about the area as I want to walk my dogs at night without fear and hopefully to meet some nice neighbors (not just single men, though that wouldn't be bad). I like a moderately urban feel. Which parts of Danbury should I focus on or avoid? Thank you! Danbury is nice, very mountainous but far from ocean/coast. Many lakes and rivers nearby. Lots of shopping. And you will find a decent 1 Bedroom for less than 1400 a month with some utilites included. Type in Danbury rentals on craigslist or hire a realtor to help you look. Realtors dont charge the tenant...the landlord pays for the commission.. I would also suggest ridgefield. As far as areas...each town has the weeds of society... once you pick a city to live in try to find out which areas are safe to be around. I recently rented a nice 1 bedroom to a client for $1100 a month plus utilies in a nice townhome community. For your budget, you can should be able to get a 2 bedroom 1.5 bath place.